Statue of Nike. Pentelic marble. Found at Epidauros. The statue was the central akroterion on the west pediment of the temple of Asklepios. 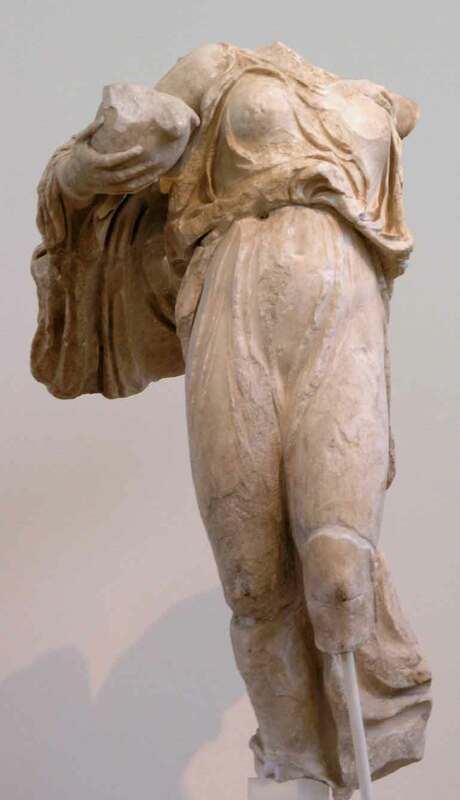 Nike is depicted flying with her dress billowing in the wind behind her. In her right hand she holds a partridge, a symbol of the healing power of Asklepios. By the sculptor Timotheos. About 380 BC.